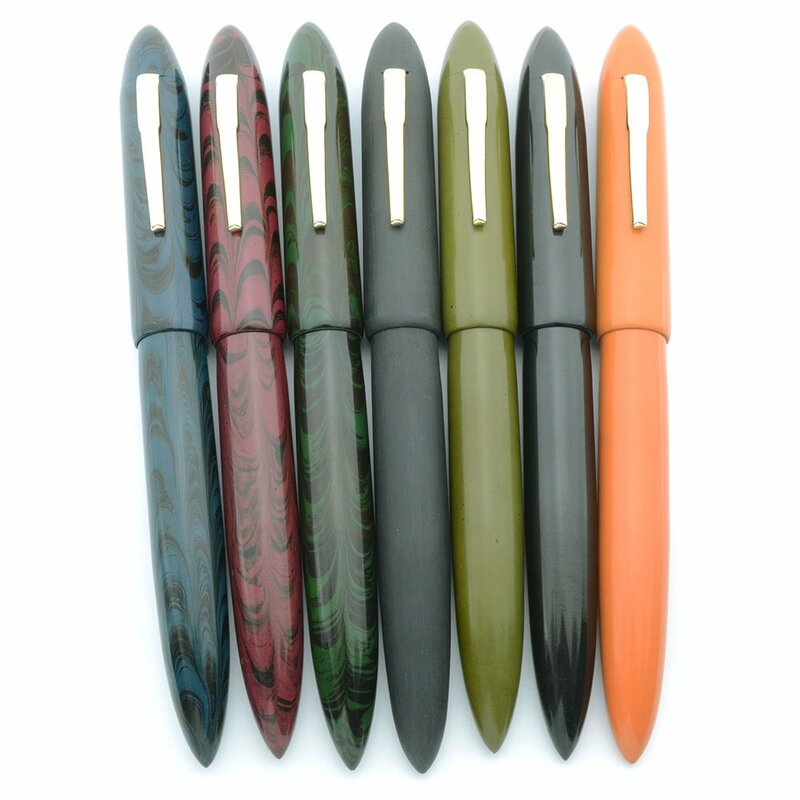 Large over 6" Indian ebonite fountain pen in a pointed top and bottom design, vaguely torpedo shaped, made by Ranga of India. The 8B version is a fatter version of the Model 8. Cartridge or Converter with German screw-in nib units made by JoWo. Beautiful colors and patterns. Type Fountain pen handmade of Indian ebonite (hard rubber) ... this version of the pen has a screw-in German nib unit. Length 6-1/4". The area of the section where most people grip the pen is 10.5mm (as opposed to 10mm for the slimmer Model 8). The widest area of the barrel is 14.5mm (as opposed to 12.5mm for the Model 8). Filling System International style cartridges and converters. The pen has been configured to accept a screw-in German nib unit which works with international style cartirdges and converters. A converter will be included. In addition, the converter can be removed so that you can use the pen as an eyedropper. Color We have these in a few different colors, and we'll be adding more. Some colors come in smooth and matte ("bakul") versions. There are a few "premium ebonite" colors which have a higher price, and you will see the price premium on the pulldown menu. Gold or silver colored clip. 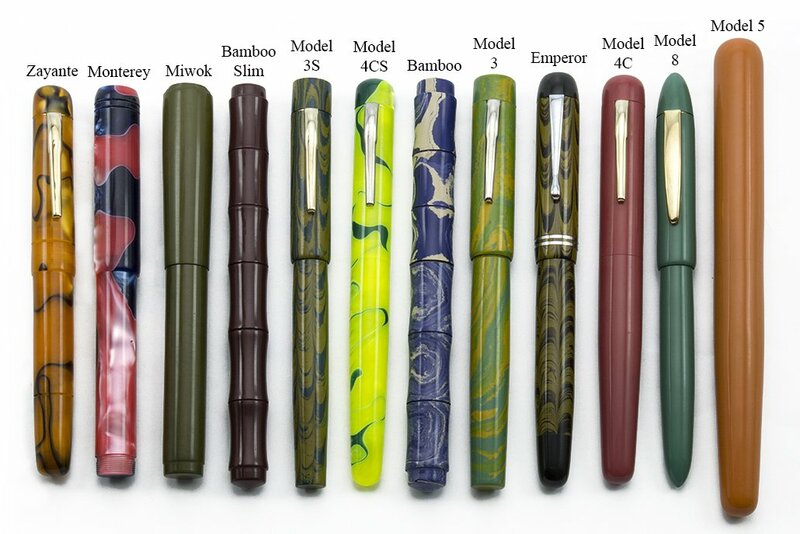 - nib sizes in XF, Fine, Medium, Broad, 1.1mm and 1.5mm. 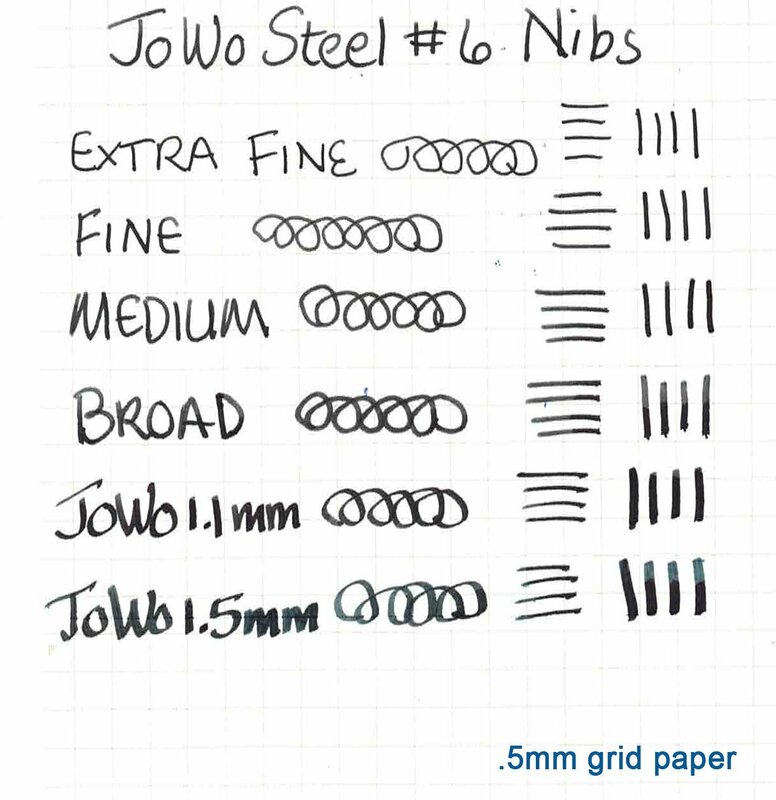 See writing sample for the standard JoWo nibs below. Condition Brand new, never used. New converter.